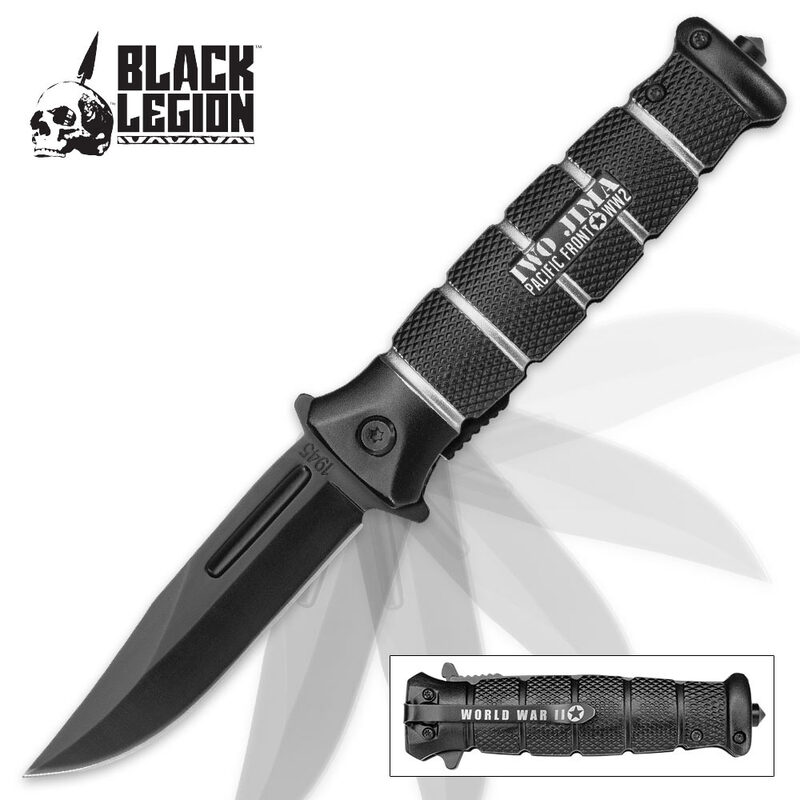 Black Legion Iwo Jima Assisted Opening Tactical Pocket Knife | BUDK.com - Knives & Swords At The Lowest Prices! Handle reads: "Iwo Jima, Pacific Front WW2"
Few battles in America's history were as harrowing, brutal and strategically important as the storied struggle for Iwo Jima in the Second World War's Pacific theater. The Black Legion Iwo Jima Tactical Pocket Knife is a great tribute to the brave men and women who fought and died to capture the Japanese island, and, best of all, it's a potent, reliable knife - equally perfect for day-to-day use or display in a military collection. 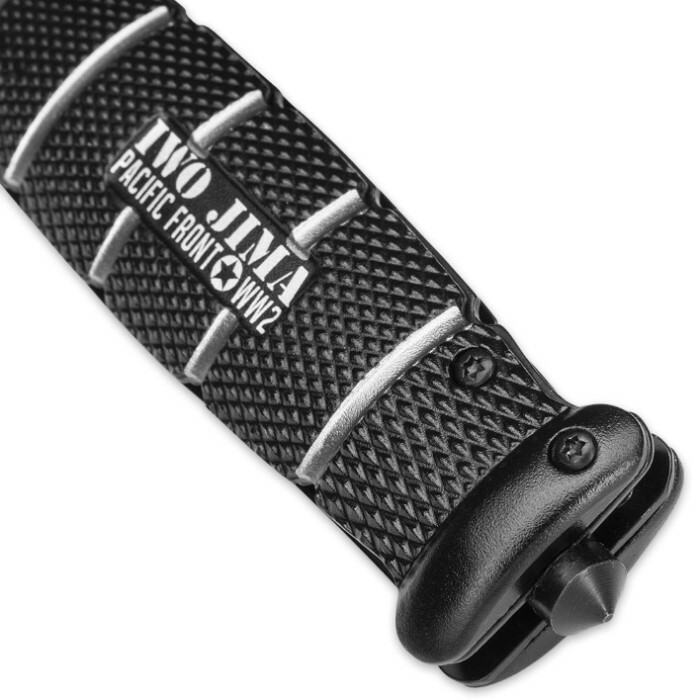 It boasts a razor sharp 3 1/2" stainless steel clip point blade with a fierce-looking black oxidized finish. A gentle nudge of the flipper sends the blade flying open at lightning fast speed, thanks to the advanced assisted opening mechanism. The aluminum handle is textured for a no-slip grip, and "Iwo Jima - Pacific Front WW2" is etched in the center. At 4 1/2" closed, it's well suited to everyday carry, especially with the convenient integrated pocket clip. It also looks great in a military display. You won't find better prices on fine pocket knives like this anywhere else, so get two - one for yourself and one to gift to a veteran, WWII history buff or military memorabilia collector. It’s a fantastic gift sure to be remembered and appreciated for years to come.